Home>New Songs>Plies Songs> Youngboy Never Broke Again Joins Plies On New Hustler's Anthem "Check Callin"
Just as the title & artwork depicts, Plies delivers a new hustlers anthem that finds him rapping about getting after the money at any cost or time. “Baby don't worry if I, I come home late like 3 or 4/ when that check call I gotta go, baby Im sorry that check it keep on calling,” he croons on the chorus, before spitting some nice bars in his verse. Meanwhile, Baton Rouge sensation Youngboy Never Broke Again spits his usual melodic singing-raps about getting the money to help support his 3 babies & family. The heavy drug-referenced street cut is perfect for the dealers & hustlers out there trying to make a living to say the least. There whereabouts of the record is unknown at this time, but hopefully this is a sign that a new project from Plies is on the way. NBA Youngboy on the other hand is coming off the release of a new project back in August called A1 Youngboy, and yet he reportedly has another on the way. In fact, the Baton Rouge rapper is about to hit us with an 8-song EP tomorrow (10/7) called Ain't Too Long. So keep your eyes peeled for that. 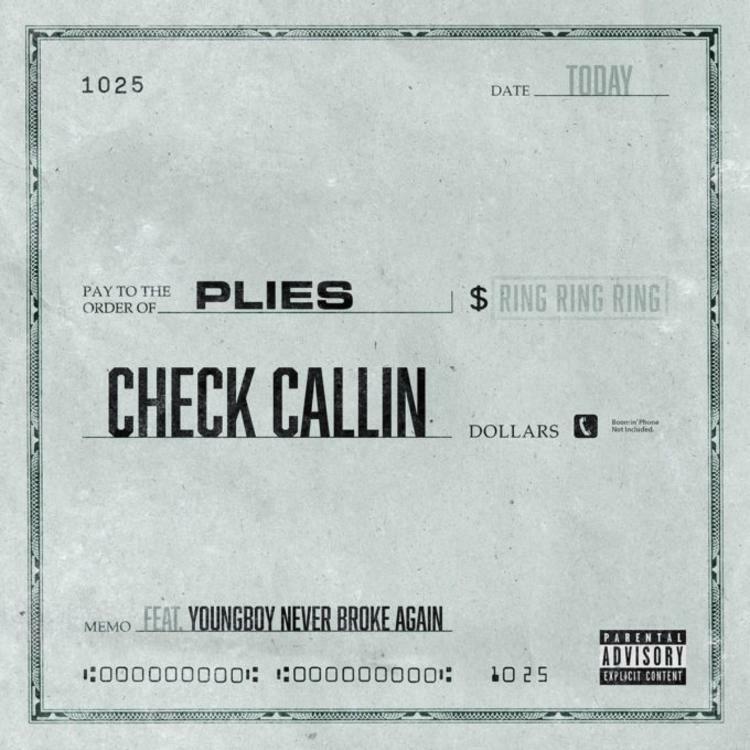 For now though, take a listen to the Plies collab and let us know what you think. Record available on iTunes. SONGS Youngboy Never Broke Again Joins Plies On New Hustler's Anthem "Check Callin"